There were 259 press releases posted in the last 24 hours and 153,534 in the last 365 days. NEW DELHI, DELHI, INDIA, November 2, 2018 /EINPresswire.com/ -- VitSupp today announced the launch of Lifelong Hair Oil range for both and women. Lifelong Hair Oil is proud to present a product that is 100% natural and is a one-stop solution for all your hair problems. 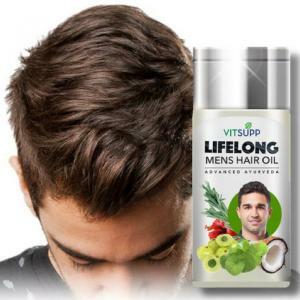 Lifelong Hair Oil contains the goodness of coconut oil, Methi, Neem, Tulsi, Amla, Bhringraj, Camphor, Rosemary and other natural ingredients that are proven to prevent hair fall and dandruff. It is an advanced Ayurvedic formula that can promote new hair growth, make your hair thick and prevent dandruff. While hair fall is a common cause of concern for both genders, men are more worried about thinning hair and the possibility of baldness, while women want their hair to be shiny, long and strong. Lifelong's products are developed keeping in mind the difference in toughness and skin pH levels between the two groups, as well as their respective hair care needs. Lifelong Hair Oil is free from parabens, mineral oils, PABA & phthalates, petroleum products, paraffin, dyes and colours, formaldehyde, SLS TEA DEA and perfumes. All the dry ingredients are sourced whole (and not powdered) and all the green ingredients are pressed fresh to preserve their potency so that the final product retains all the inherent nutrients. "We are committed to the principles of sustainable and holistic development", says Ms Anupama Singh, proprietor and CTO, VitSupp. "We recognise plastic to be a hormone disruptor and an environmental burden. We have minimised the usage of plastic and plastic derivatives from the preparation, packaging and shipping process." All the products are made in batches to prevent wastage and ensure potency. "Our products are made as required. They do not sit in the heat on shelves for months with plastic leaching into them", Ms Singh says. Many people have chronic hair fall problems, and they often suffer from hormonal imbalances. For them, Lifelong Hair Oil is a great fit, as it is free from chemicals and made in a plastic-free process. 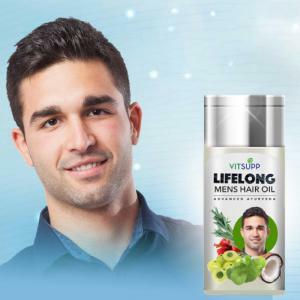 About VitSupp: LifeLongHairOil.com is an online health and wellness platform striving to provide knowledge, acquire superior nutritional products and making them available to consumers worldwide. VitSupp.com aims to educate and provide consumers with top-quality products and dietary supplements to support their total health and well-being. Information to be updated only after it is confirmed by VitSupp, subject to the status of their website. For more information, contact us by phone at +917011076761 or email at care@vitsupp.com. Visit www.lifelonghairoil.com to know more.